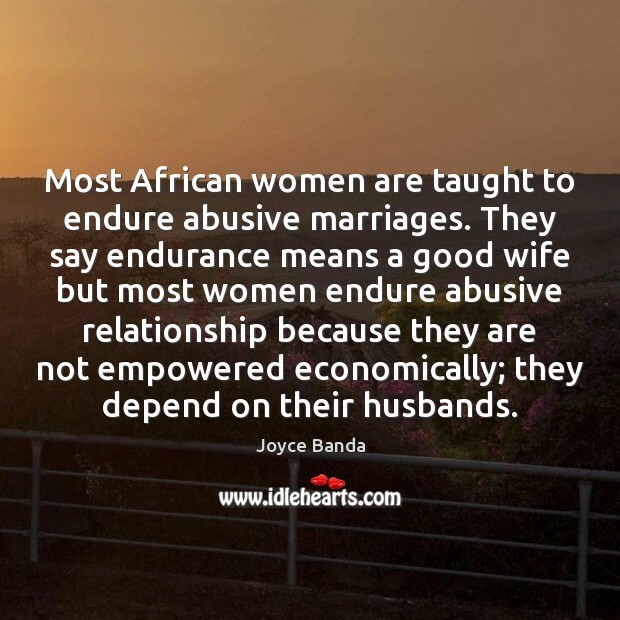 Quotations about Abusive Relationship. Quotes to stimulate mind and drive action! Use the words and quote images to feed your brain inspiring things daily! 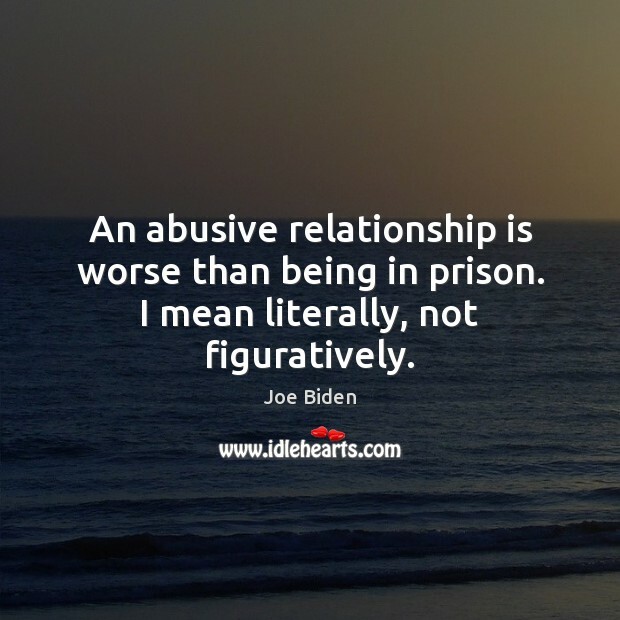 An abusive relationship is worse than being in prison. I mean literally, not figuratively. 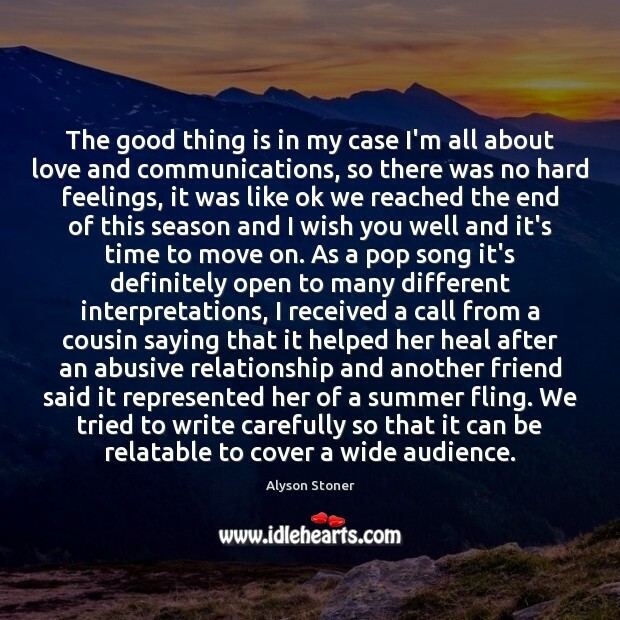 I met a lot of amazing people whose lives were changed (for the better) by the power of music. 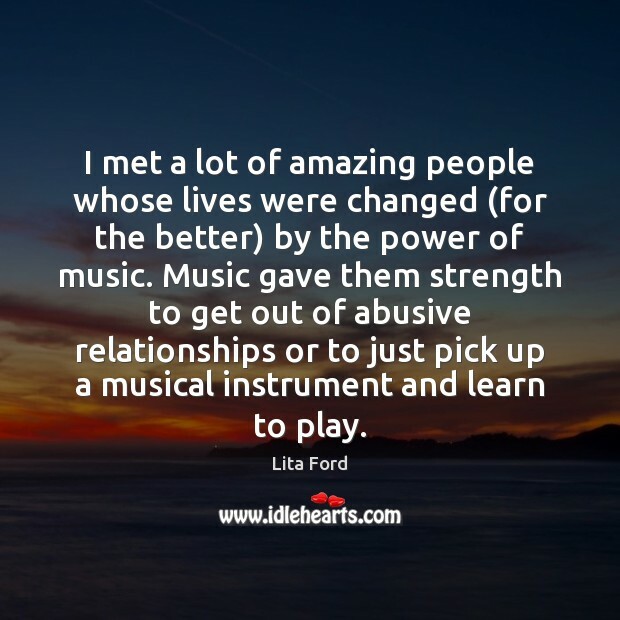 Music gave them strength to get out of abusive relationships or to just pick up a musical instrument and learn to play. 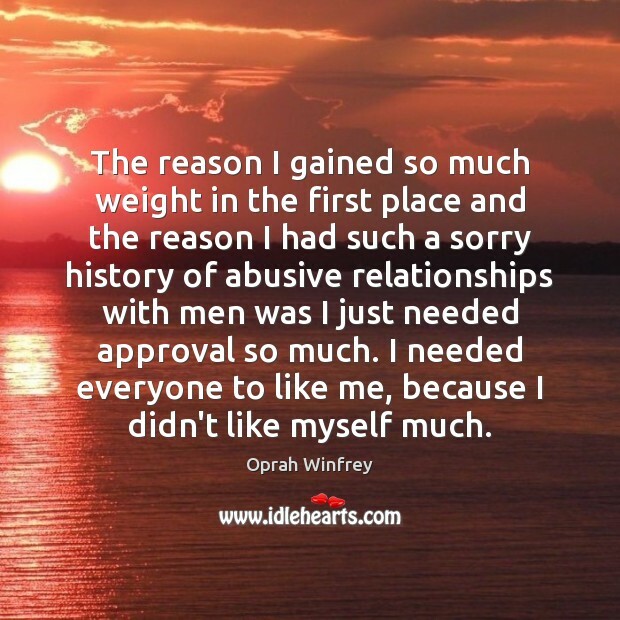 The reason I gained so much weight in the first place and the reason I had such a sorry history of abusive relationships with men was I just needed approval so much. I needed everyone to like me, because I didn't like myself much. You're always feeling powerless in life. 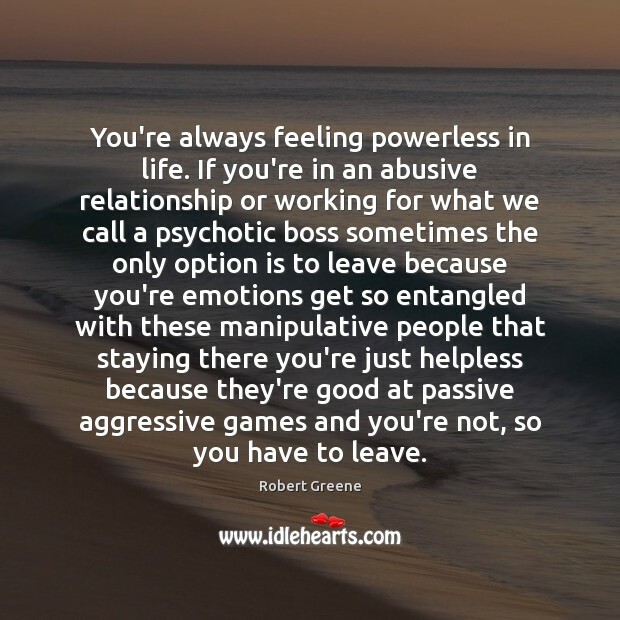 If you're in an abusive relationship or working for what we call a psychotic boss sometimes the only option is to leave because you're emotions get so entangled with these manipulative people that staying there you're just helpless because they're good at passive aggressive games and you're not, so you have to leave. 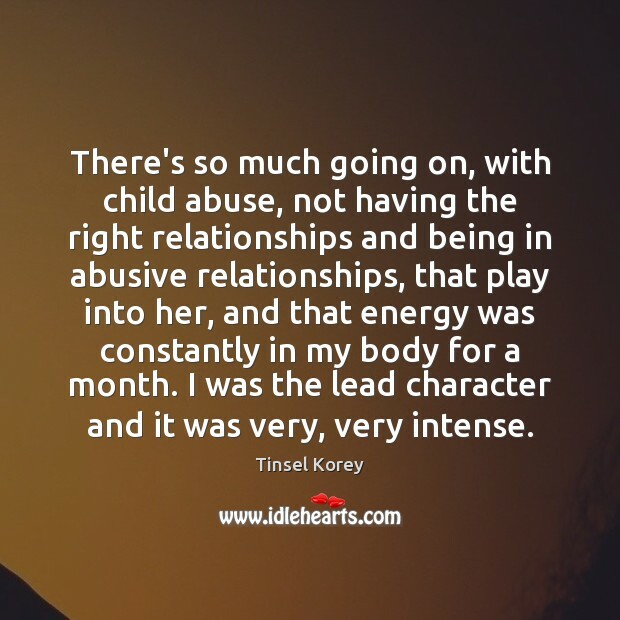 There's so much going on, with child abuse, not having the right relationships and being in abusive relationships, that play into her, and that energy was constantly in my body for a month. I was the lead character and it was very, very intense. 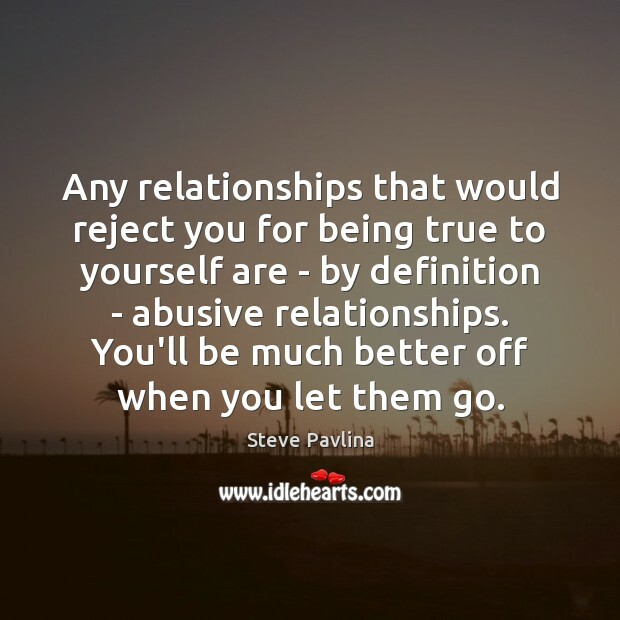 Any relationships that would reject you for being true to yourself are - by definition - abusive relationships. You'll be much better off when you let them go. I was a young feminist in the '70s. 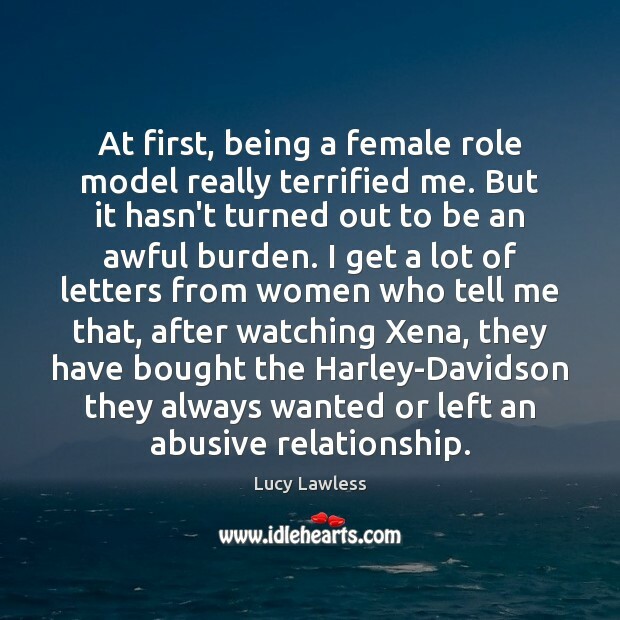 Feminism saved my life. It gave me a life. But I saw how so much of what people were saying was not matching up with what they were doing. For example, we were talking about sister solidarity, and women were putting each other down. 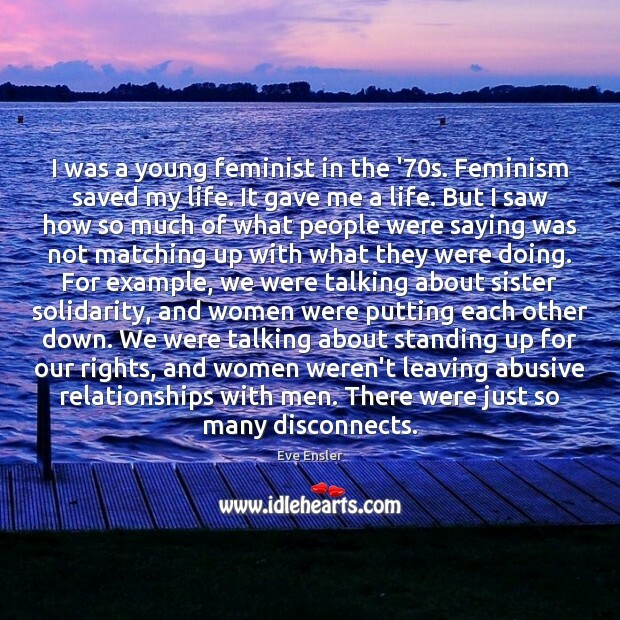 We were talking about standing up for our rights, and women weren't leaving abusive relationships with men. There were just so many disconnects. 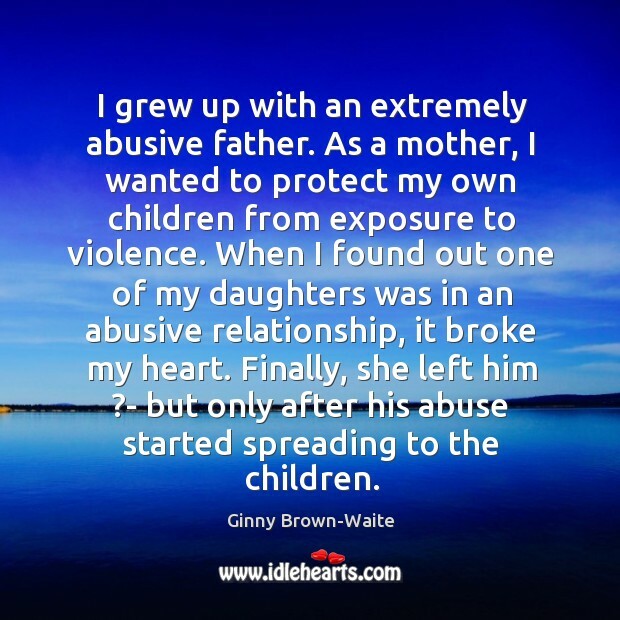 I grew up with an extremely abusive father. As a mother, I wanted to protect my own children from exposure to violence. 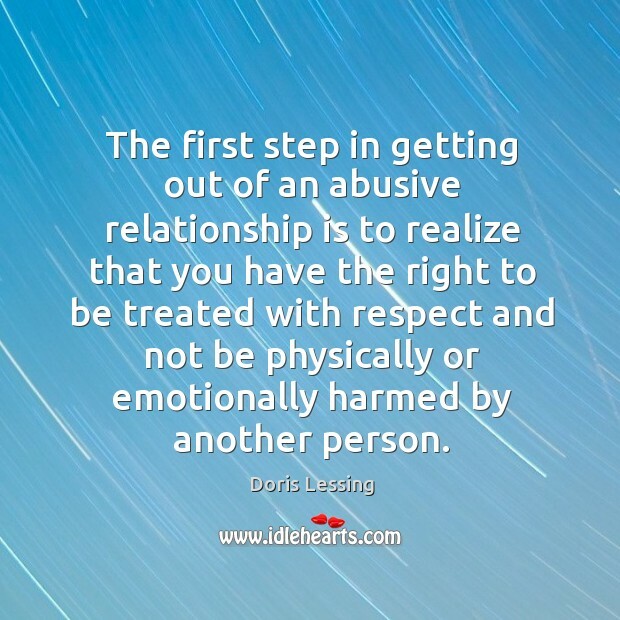 When I found out one of my daughters was in an abusive relationship, it broke my heart. 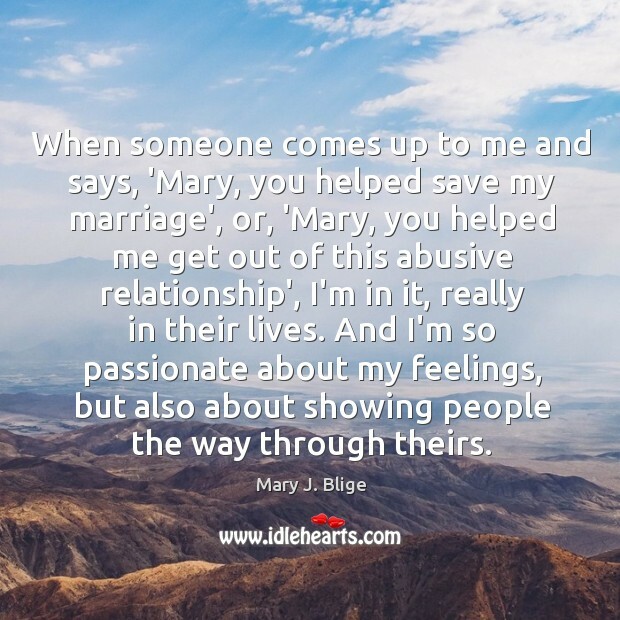 Finally, she left him ?- but only after his abuse started spreading to the children. 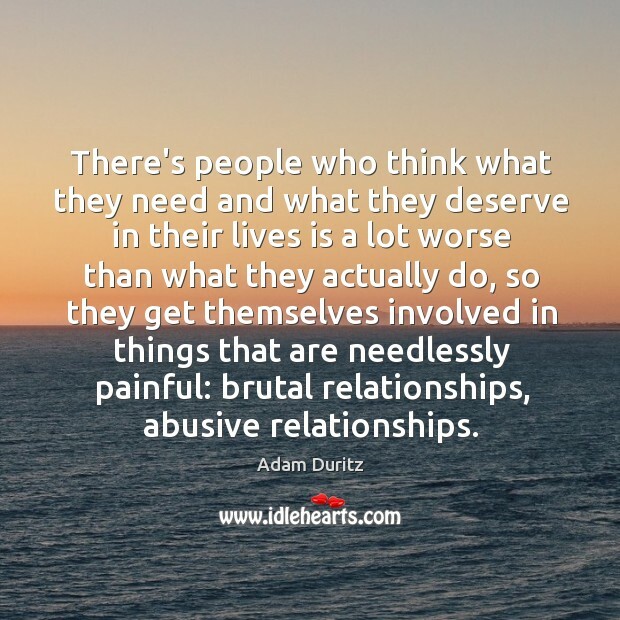 There's people who think what they need and what they deserve in their lives is a lot worse than what they actually do, so they get themselves involved in things that are needlessly painful: brutal relationships, abusive relationships. 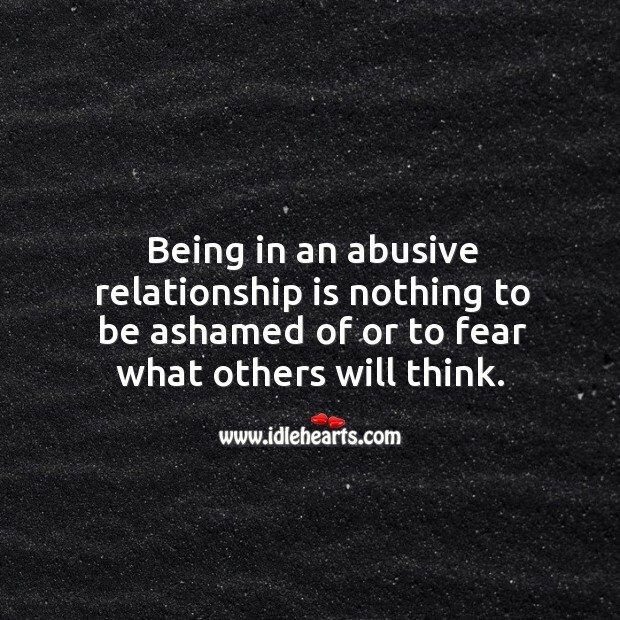 Being in an abusive relationship is nothing to be ashamed of or to fear what others will think. 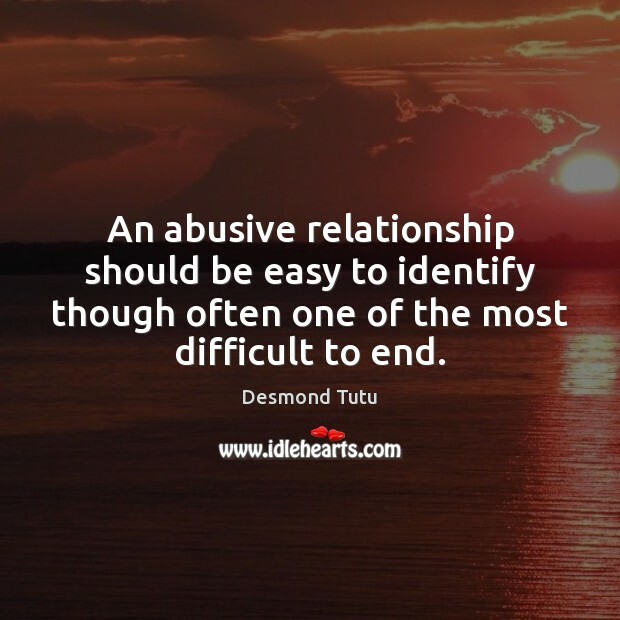 There are many signs of an abusive relationship. The most telling sign is fear of your partner. 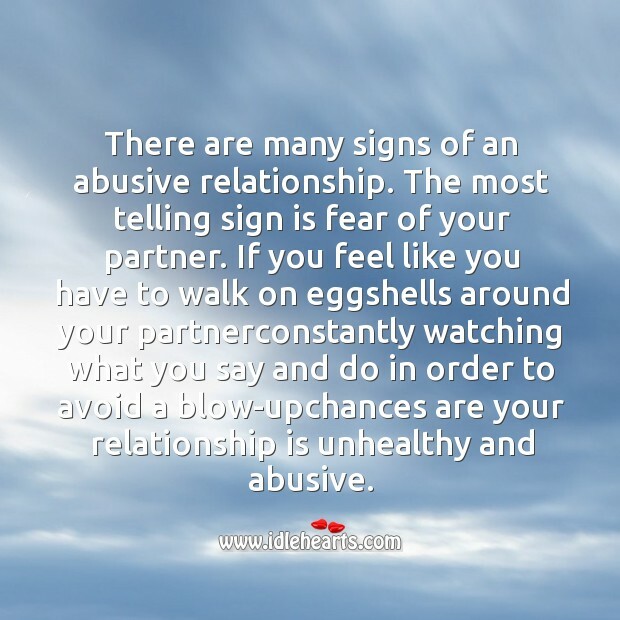 If you feel like you have to walk on eggshells around your partnerconstantly watching what you say and do in order to avoid a blow-upchances are your relationship is unhealthy and abusive.